Our cat on the other hand is very fussy. She prefers mince topside- and turns her nose up at cheap cat food from a can. It has to be the type of food you get from those small tins which are twice the cost of the large low cost brands. If you put out something she regards as inferior, she will leave it... for our dog. She would never touch the dog's food. So what are your clients like? Are they cats or dogs? Are they only interested in the expensive cuts, or couldn't tell the difference between tenderloin and reprocessed meat. 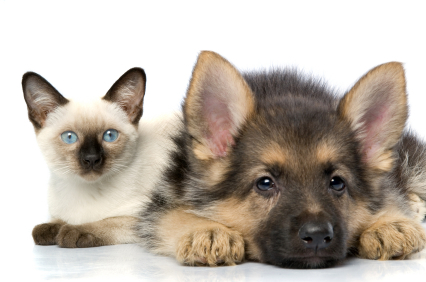 Many business owners find themselves in difficulty when trying sell a service that only felines will appreciate and pay for to their canine customers and then are upset when they focus on price. There is nothing wrong with having canines as clients, but they will not appreciate and pay for the premium cuts. If you have canine clients (and there are a lot more of them than the felines) make sure that your service is designed to meet their needs rather than your ego. Instead, many business owners want to provide what they believe the market should have rather than what it actually wants and values. You can of course have both feline and canine customers but they need to be separated and guided along different pathways. Some business even go to the extreme of creating different brands for their canine and feline clients to ensure the message they present to each does not become confused. Your feline clients expect to be treated differently from your canine clients and would be upset if they were not valued more highly. Your canine clients, on the other hand, don't care. Consider your favourite airline. Does it treat its first class passengers the same as the ones in coach? Regular coach travellers would never pay for first class although would be happy to receive an upgrade they didn't pay for. And there is no free French Champagne in coach. When you understand if your clients are dogs or cats, you will know what food to serve, how to present it and be able to keep them happy and faithful for many years.